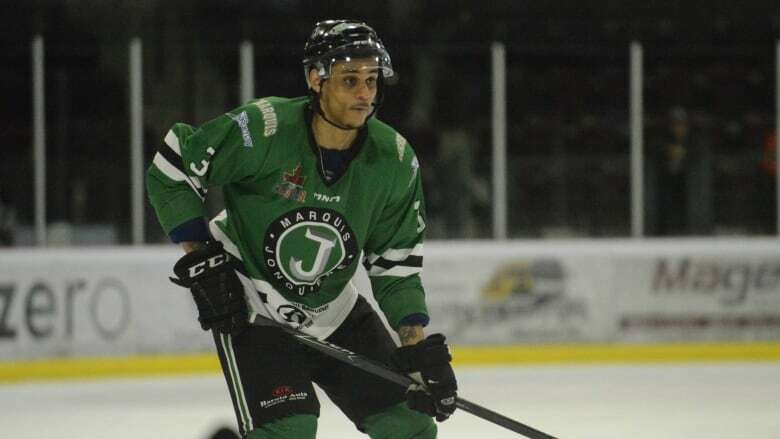 Jonathan Diaby, a black hockey player from Quebec, said as a visible minority, he deals with racism all the time, including as he plays hockey. His story isn’t unique. Jonathan Diaby was sitting in a penalty box in a noisy arena in Saint-Jérôme, Que., a week ago, in tears. It was the first time in his 24 years he'd ever cried while playing the sport he loves. Diaby and some of his family members were told to "go back to their country" and called the N-word and baboons by people in the crowd. 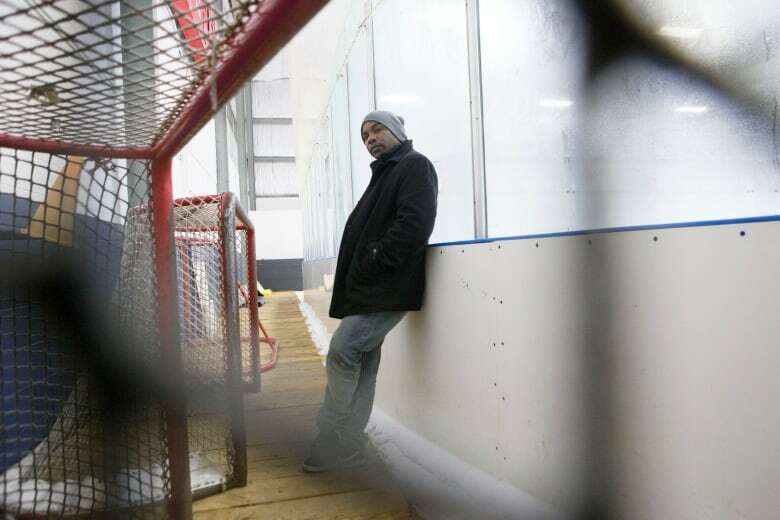 Watching his loved ones being targeted was too much for the 24-year-old black hockey player. Soon after that altercation, he and his family left the arena. His team was winning by one goal, with a period still to play. Watching Diaby describe what happened, what's striking is that he seemed to take it all in stride. He said he's been playing since he was eight, and he has dealt with racism before — but never with anything like what he experienced last Saturday. But he also said as a visible minority, he deals with racism all the time, including on the ice. 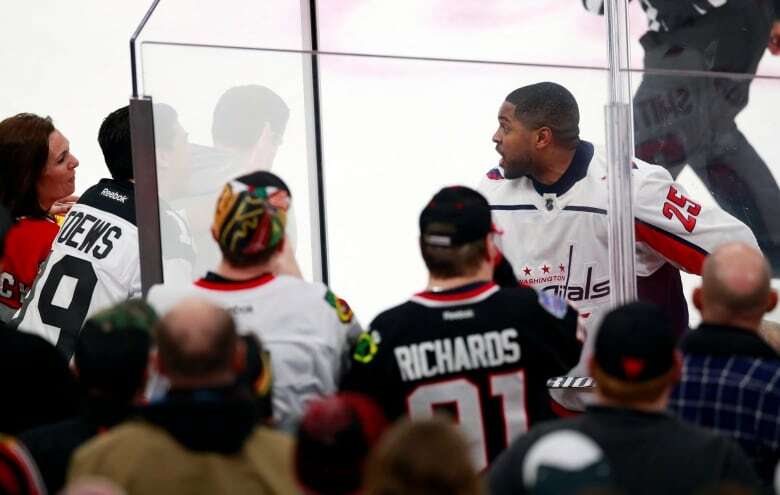 And the thing is, his story isn't unique — incidents involving racism in hockey and in other sports are far from isolated. It's 1920 in Saint-Jérôme, Que. At many levels, from the pros to children's leagues, there are examples of players and parents behaving badly. So what kind of toll does that take? How do you deal with it? How do you exist in a space where some believe — and tell you — you don't belong? When these kind of incidents happen, it's hard not to think of Jackie Robinson, who broke Major League Baseball's colour barrier in 1947. Robinson was famously chosen to be the first black MLB player because Brooklyn Dodgers manager Branch Rickey believed Robinson wouldn't fight back when faced with the inevitable racism of teammates, opponents and fans, among others. Robinson died of a heart attack in 1972 at age 53. Rachel Robinson, Jackie's wife, has said she believes the constant stress he was under contributed to his early death. Being the first comes with a responsibility — to open doors and pave the way for others to follow. But more than 50 years after Jackie Robinson, minority athletes are still faced with many of the same challenges that he faced. Diaby himself said he felt like what happened to him in the Saint-Jérôme arena was straight out of 1920. Myrna Lashley, a psychiatry professor at McGill University, knows what it's like to be one of the people paving the way. She says she can still walk into a room and be the only black, female academic present. "I'm tired, and it hurts. And I have to be brave," she said. Myrna Lashley says when it comes to dealing with racism, some people choose to swallow the pain and keep pushing ahead. (Submitted by Myrna Lashley)"You pay the price. You keep moving, and you keep hoping. I'm not going to let any of it stop me from doing what I need to do, what I have to do, but is it painful? Absolutely. Does it hurt me? Absolutely." Lashley said it's hard not to be affected by racism, even if — as Diaby said — it happens all the time. Racism is one of the main social determinants of mental illness in black people, she explained — internalizing it and having to develop coping mechanisms for it are simply unhealthy. It's a multi-faceted issue, as well, she pointed out: athletes have to be able to keep their cool and stay composed. Men are taught to suppress their emotions. "It took a tremendous amount of pain, as a black man, as an athlete, as a man, to sit there and cry before other people," she said. "That could not have been easy." Kwame Damon Mason is the director and producer of Soul on Ice, a documentary about the contributions black athletes have made to ice hockey. Mason said having thick skin is a prerequisite in hockey, no matter the player. "They're going to have to be tough, and it doesn't even have to be because of bigotry. It's just the mindset of a hockey player. You have to have that mental toughness, and unfortunately for a player of colour, you're going to have to have an extra shell." He said it's sad that it's up to a player to find ways to deal with racism instead of expecting fans and players to not be racist, but there isn't much of an alternative. At this point, it's hard to expect people will change their attitudes, he said. "Trust me, I hate the fact the onus is on us, I don't like it, but what else are we going to do? We can't stop," he said. Then he reiterates those last three words, more forcefully this time. "We can't stop, man. I don't want to see these kids stop playing." He said while making Soul on Ice, he met with men who played hockey when they were younger and dealt with people yelling, throwing chicken bones and batteries at them. It got to a point, he said, where they would quit in favour of basketball or football — sports that generally have a higher proportion of black players. Mason said he wanted to tell the stories of the guys who persevered and kept playing. And a common quality they all shared, he said, is a love for the game. That sentiment is echoed by P.K. Subban, who recorded a video for a young fan from the Detroit area who was dealing with racial harassment earlier this year. He told 13-year-old Ty Cornett not to let anyone tell him what he can and can't do, especially if it's because of the colour of his skin. "I just want to tell you that when you're playing hockey, you play because you love the game, and you want to play." "Let nobody take that away from you." 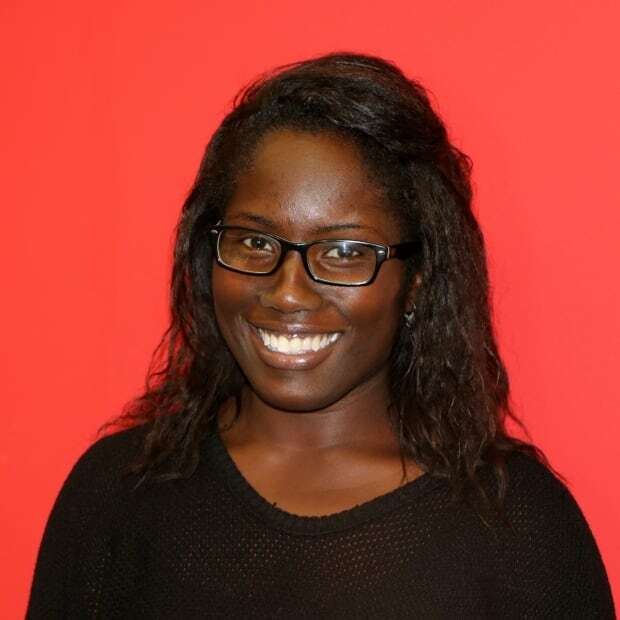 Kamila Hinkson is a journalist at CBC Montreal. Follow her on Twitter at @kamilahinkson.